Strategy: Collectivities and Situated Knowledges. 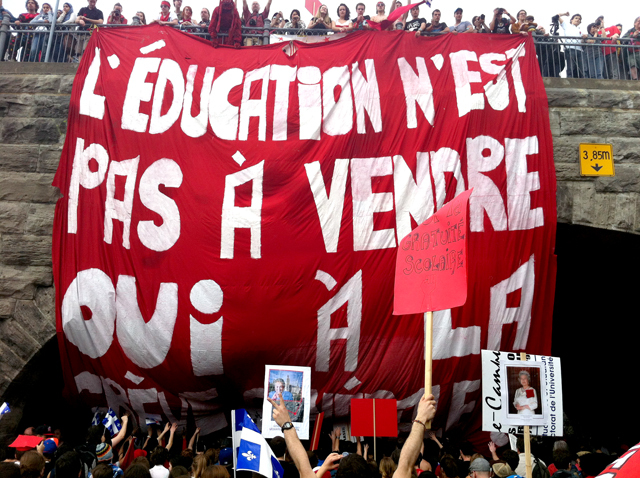 After the funeral procession, students mourn the loss of accessible education due to tuition increases as proposed by the Québec Liberal government. Photo taken in Montréal's Parc Lafontaine, Friday, March 16, 2012 by David Widgington. …. Continue reading the essay at Alt-UniEs: an alternative university, an appeal to unity, a commitement to access …. Students and faculty from Concordia University’s Communications Studies Department march in the streets of Montréal with 30,000 others (according to Le Devoir) in the Family Demonstration March against the Québec government’s proposed tuition increases. Communications Studies students and faculty are well represented among the 30,000-strong crowd at the March 18, family demonstration. Photo by David Widgington. students walk down St-Denis street among 30,000 others in the family protest against proposed tuition increases, Mar 18, 2012. Photo by David Widgington. 30,000 protesters in the family demonstration against tuition increases and in support of access to education walk eastward along rue Ste-Catherine past Metro Papineau. Sunday, March 18, 2012. Photo by André Querry © 2012. The $1,625 tuition fee increase has nothing to do with the quality of education or the value of a degree. 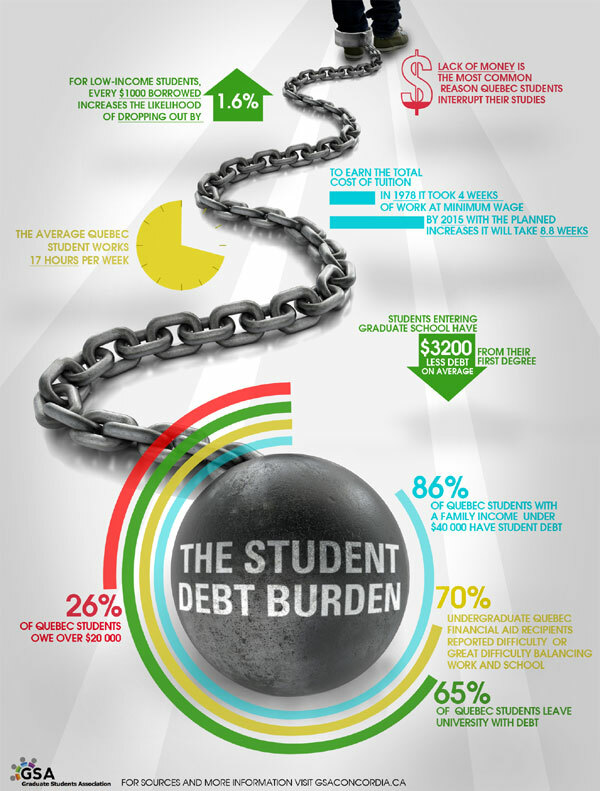 In fact, the increase of tuition fees (the largest in the history of Quebec) will force thousands more students into debt, to work harder or even drop out. This website was created in response to the Quebec Ministry of Education’s misinformation campaign—a campaign that cost taxpayers $ 50,000.